Welcome to the Belle Grove Museum Shop! The Museum Shop at Belle Grove Plantation features unique gift items inspired by 18th and early 19th century Virginia Plantation life and a variety of books about the Shenandoah Valley and its history. We are proud to be a member of the Top of Virginia Artisan Trail and to feature local artists, artisans, farm products, and businesses in our shop. We continually receive new and exciting things, so stop in and visit us! Prices below do not include shipping. Belle Grove staff will contact you with shipping cost of your purchase within two business days. After shipping is paid via Pay Pal, your order will be shipped to your location. We will ship via US Postal Service Priority Mail. Please note that for Christmas delivery orders must be placed by close of business on December 17, 2018. 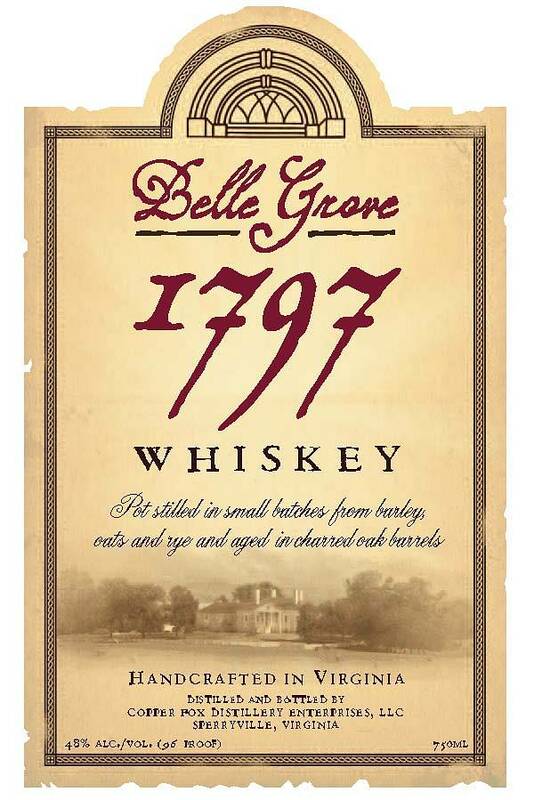 Belle Grove 1797 Whiskey and Spirits are made in small batches by Copper Fox Distillery in Sperryville, Virginia using ingredients and methods that the distillery at Belle Grove may have used in the 18th and 19th centuries. It is available for sale at Copper Fox, through special order at Virginia ABC stores (whiskey is item 953070 and spirits are item 953069), or may be ordered online by 1 West Dupont Circle Wines and Liquors. Cheers--a portion of the proceeds benefit Belle Grove! 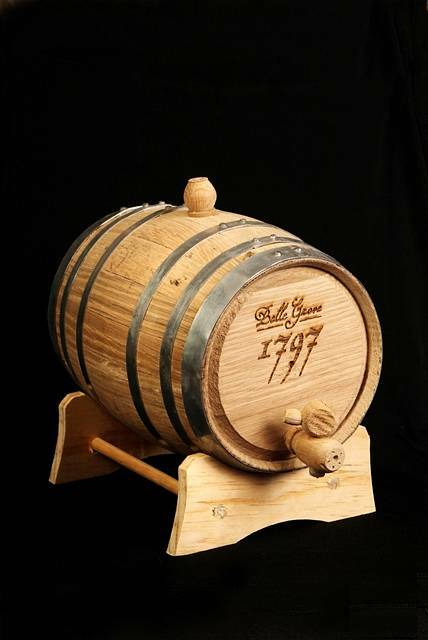 Age your own Belle Grove 1797 Whiskey at home with this charred oak mini barrel! While we prefer using Belle Grove 1797 Spirits made by Copper Fox Distillery in Sperryville, Virginia, but you can age any clear spirits. About three 750 ml bottles fill the barrel and yield about one bottle of aged whiskey in about five months. The barrel may be used again and again and wood chips may be added for different flavors. This beautiful three-dimensional silver ornament crafted by The Charleston Mint depicts with fine detail the Manor House as it still stands today. It is ready for holiday giving in an attractive gift box. 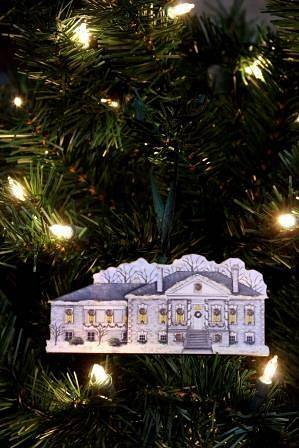 This wooden silhouette is a cutout of Belle Grove with a little sparkle. 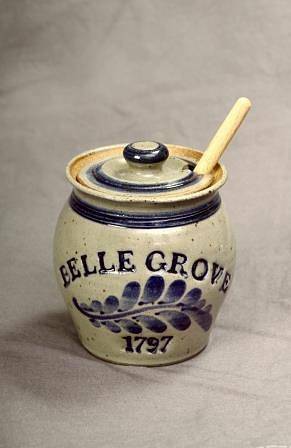 It is a must-have to remember your trip to Belle Grove this holiday season! Larkin Tea Company has made a special spiced black tea blend just for the holidays. It is available in regular or decaffinated. Each tea comes in a 2 oz. foil pouch. Please specify which variety you would like in a "note to seller" when you check out. Blue Grey stoneware designed by Phil Schaltenbrand, owner and founder of Westerwald Pottery. This piece is wheel-thrown, brush decorated, and kiln fired. It is lead-free, microwave, and dishwasher safe. All pieces are stamped with a potter's mark, signed, and dated. Show your support for Belle Grove with this custom lapel pin. This boxed set of eight cards and envelopes printed on a tan vellum style paper, depict the Hite Family coat of arms. This same symbol is founds on a wax seal that Major Isaac Hite inherited from his grandfather Jost Hite. 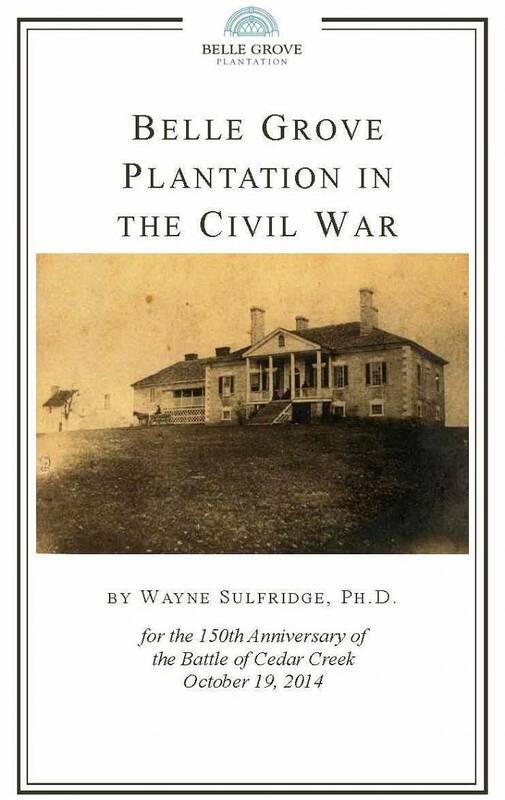 Written by Wayne Sulfridge, Ph.D. on the occasion of the 150th anniversary of the Battle of Cedar Creek, this 40 page, illustrated booklet discusses what occurred at Belle Grove Plantation during the Civil War particularly during the Shenandoah Valley campaigns of 1862 and 1864. 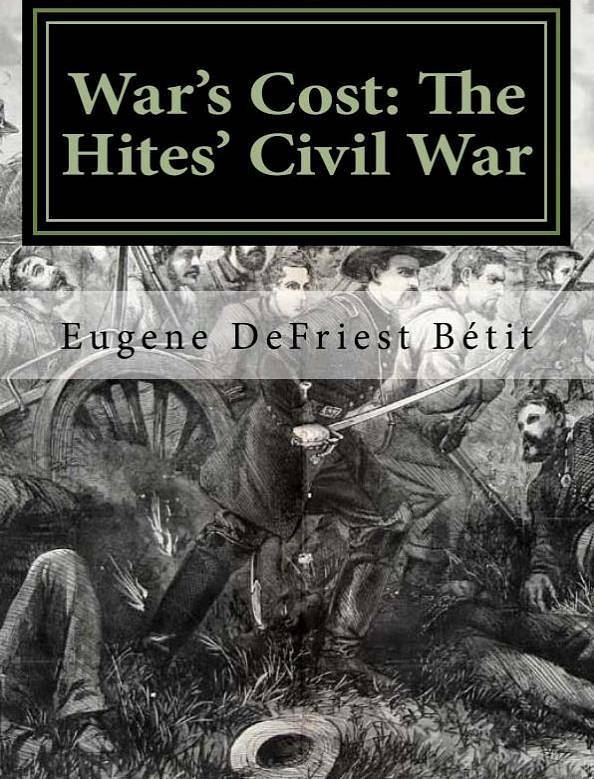 In this 124-page book author Eugene Betit, Ph.D. focuses on the American Civil War service of the grandsons of Major Isaac Hite, Jr. founder of Belle Grove. Bétit analyzes the motivating factors that led those of even pre-military age to enlist, using Ancestry.com to obtain new data, as well as the Virginia Regimental History Series. The book examines Southern education, slavery, the First Families of Virginia and the settlement and development of the Shenandoah Valley to understand the intense combat in this critical theater of operations. The book contains extensive Hite family genealogical information. 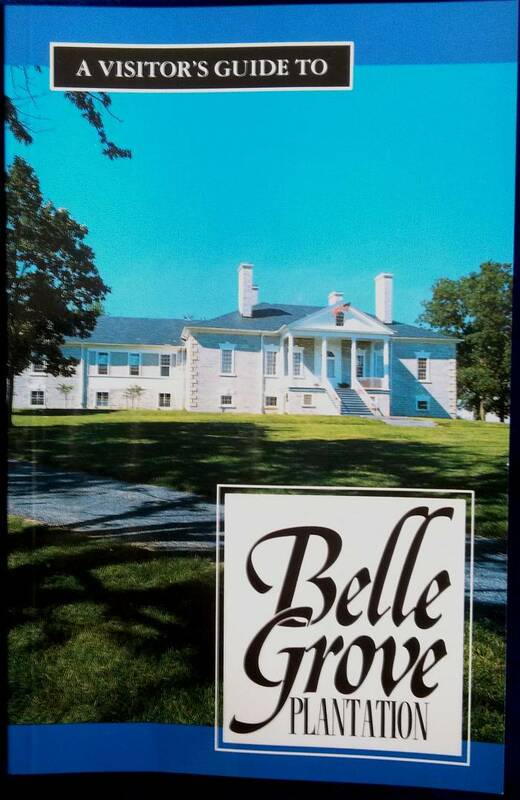 This illustrated guide to Belle Grove Plantation includes the full history of site from the 1700's to the present day. 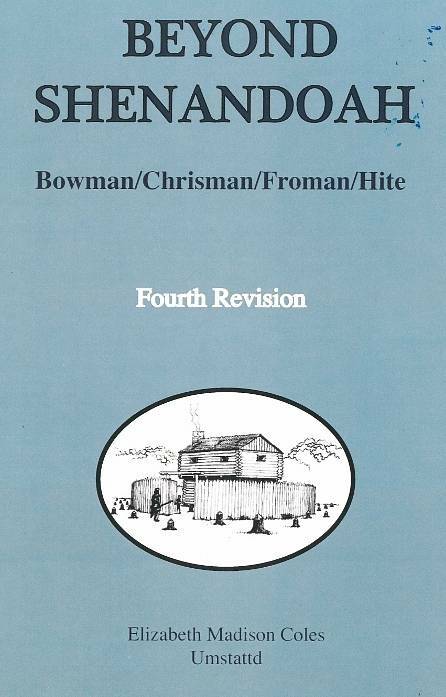 Paperback book written by Roquey G. Jobes, Jr. "This is an accounting of the lives of the Third Generation of Bowmans that descend from George and Mary Hite Bowman..." Full of images and personal letters. A great addition to any collection of Shenandoah Valley literature. 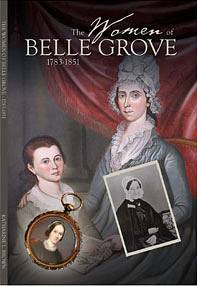 This illustrated book explores the lives of the many women who lived and worked at Belle Grove and makes history come alive! 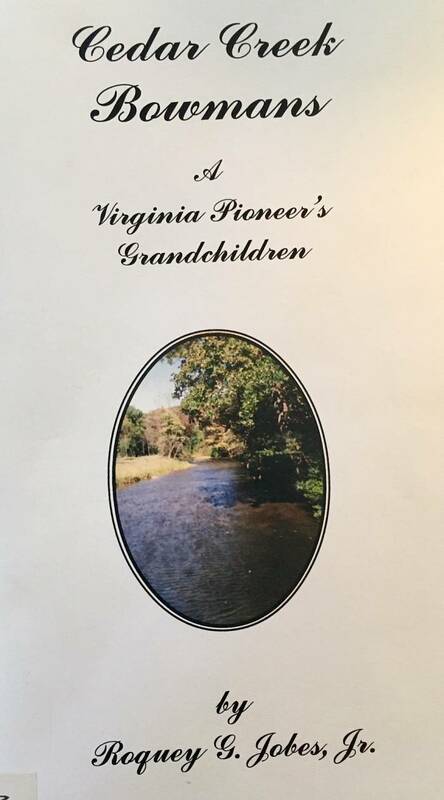 This 44 page booklet contains maps and directions to various "Hite" houses in the Shenandoah Valley. 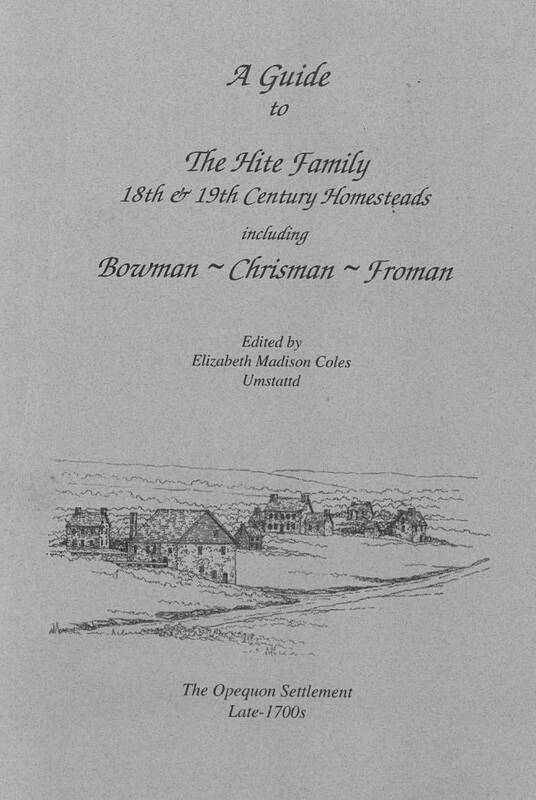 The Hite Family includes the families of the German settler, Jost Hite's sons and daughters who married into the families: Bowman, Chrisman and Froman. Written by Elizabeth Coles Umstattd, revised 2011. 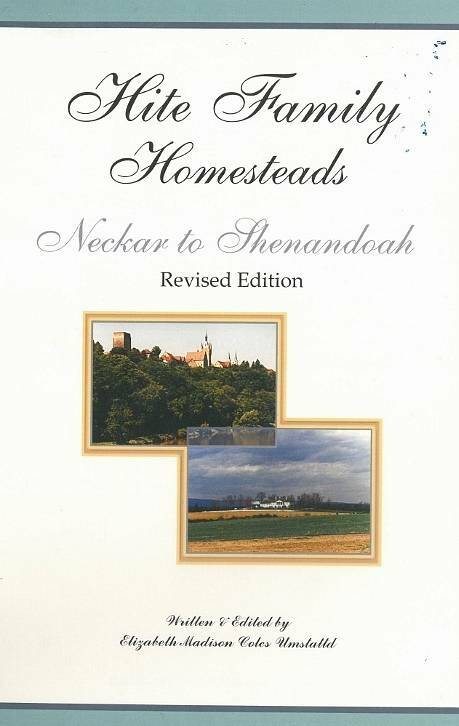 An addendum to Hite Family Homesteads--Neckar to Shenandoah, this volume includes additional information about a few of the areas where descendants of the Shenandoah Valley's early settlers from the Hite, Bowmans, and Froman families migrated such as: Lost River Valley, WV, South Branch of the Potomac, Hampshire County, VA, Orange County, NC, and Jefferson County, KY. Written by Elizabeth Coles Umstattd, 4th revision, 2011, 200 pages.